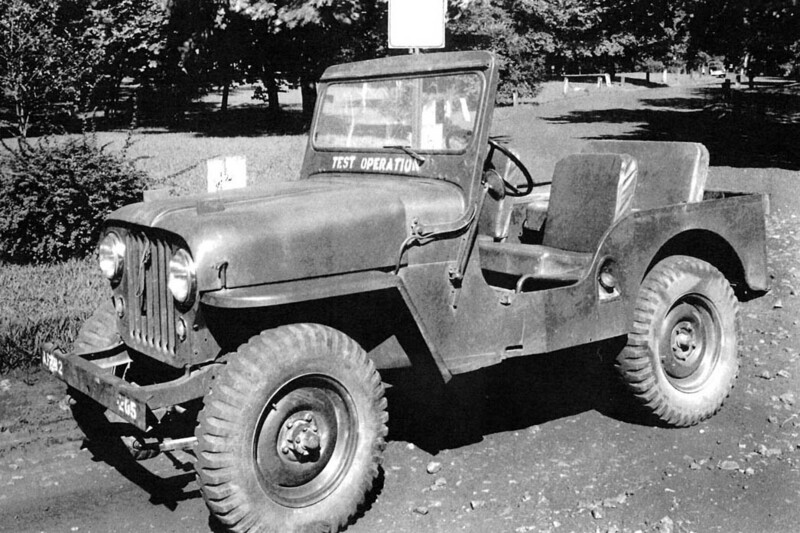 The Willys X98 was the first known prototype of a Universal Jeep with a Hurricane F-head engine. 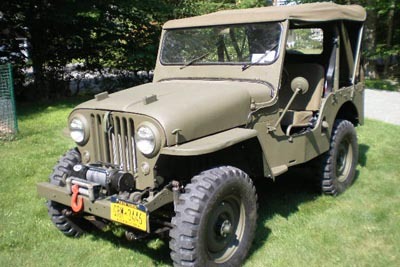 It resulted from a Willys Engineering project begun in June 1949 called "Front End Redesign (Model CJ-3A)". 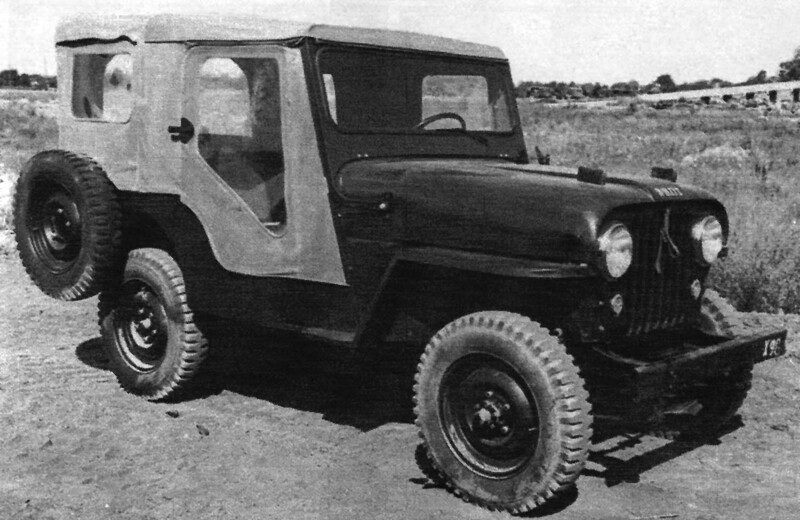 The X98 prototype had a raised cowl and a new hood profile with a raised panel in the center, and a slight curve down in the front to a radiator guard somewhat similar to the eventual CJ-5 grille. 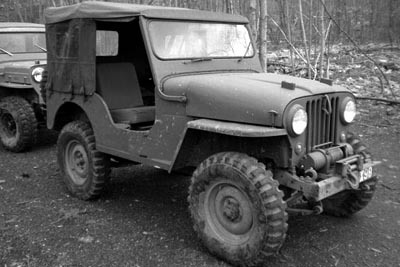 The new design retained the CJ-3As flat fenders. 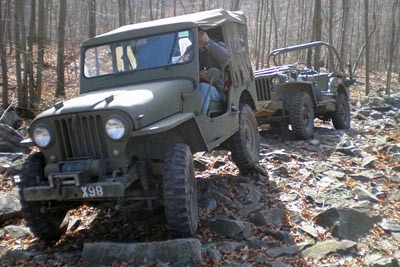 See more details in New Universal Jeep Designs, 1949-52 on CJ3B.info. 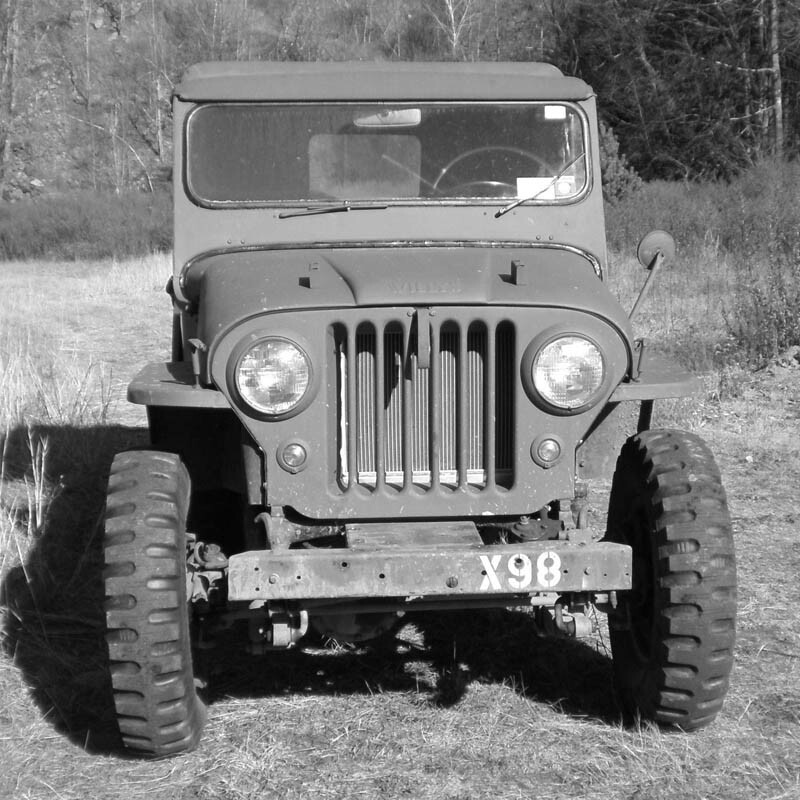 Bob Westerman is perhaps best known as the owner of the CJ-3A Information Page on the web, and author of the reference book The Civilian Jeep Model CJ-3A . His love for the 3A is obvious, but he admits he likes the idea of having a 72-horsepower F-head engine in a flatty. He is not a big fan of the high-hood CJ-3B, but has always liked the way X98 looked in the few surviving photos. So Bob started keeping an eye open for an early CJ-3B in rough shape which he could use as the basis for building a clone of the unique X98. 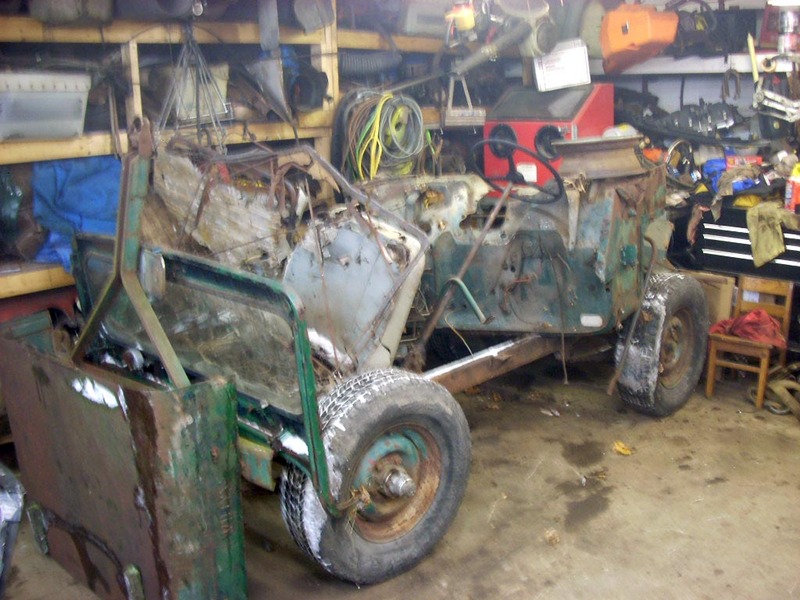 He found a suitable 1953 3B in early 2014, and two years later the result is seen below. 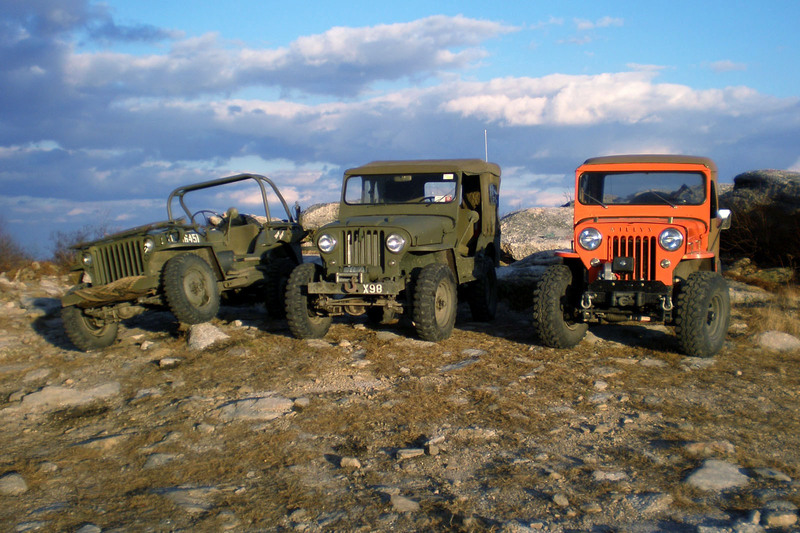 Bob's X98 poses between Jeff Petrowich's MB representing the first generation of flatfenders, and Seth King's CJ-3B, the eventual second generation. 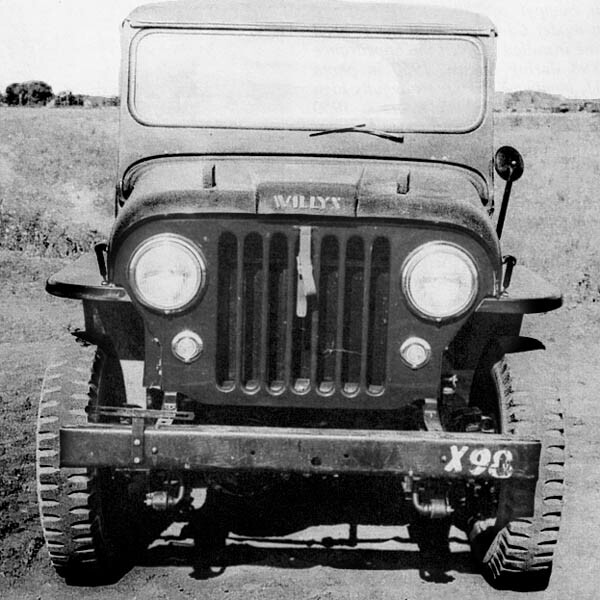 X98 was photographed in August 1950, more than a year after the Willys Engineering Department was tasked with redesigning the 3A's front end. This long delay convinces me that a flat hood more similar to the final CJ-3B was probably tried first. X98's hood curves would have been more difficult to create. But we have no photographic evidence of that first year of the project. 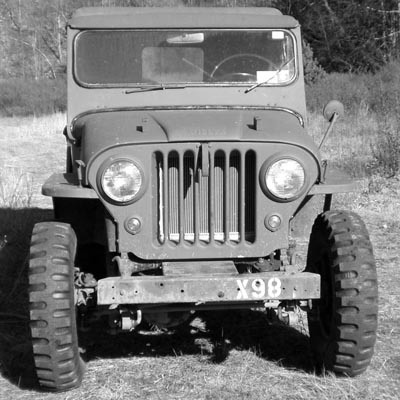 And although this started as a civilian Jeep project, we have no factory photos of X98 -- the photos were taken by the U.S. Army, who (like Bob Westerman) were interested in a Jeep with the more powerful engine. X98 was in a glossy, dark civilian paint, probably green. Two of the original Army photos are seen below, beside Bob's 2015 photos of his X98 clone in similar poses. 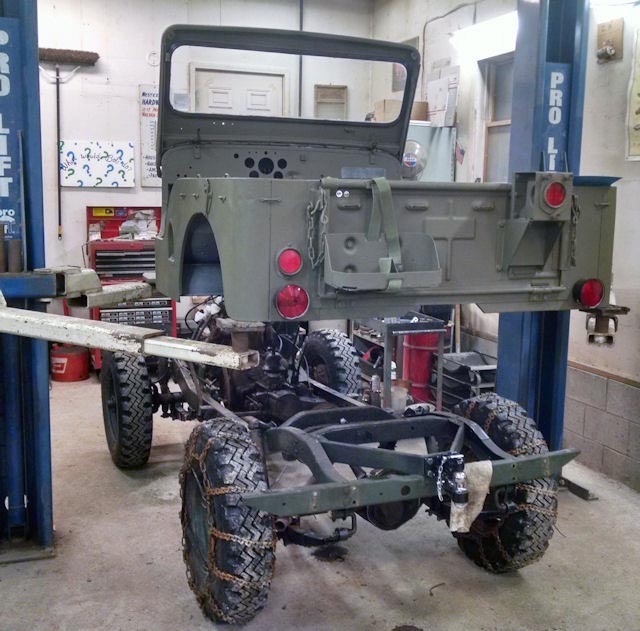 Bob chose to paint his X98 in olive drab, which was not its original color. But photos taken in 1951 show what is widely believed to be the same Jeep, now repainted in olive drab and with the Army test number 205 replacing "X98" on the bumper. 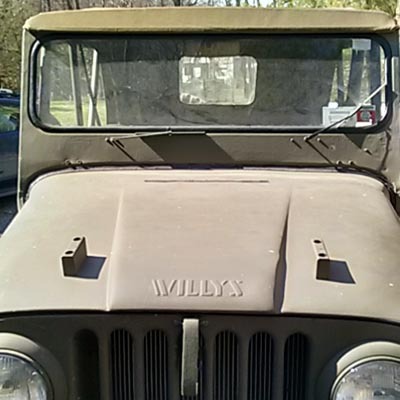 Willys apparently sent X98 to the Army to stand in for the military version of the new, slightly different F-head prototype known as the CJ-4, which was not quite ready for testing. 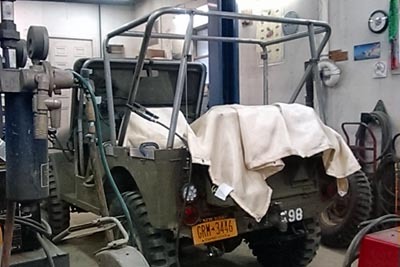 Bob also sees the OD paint as a more practical choice for a Jeep he intends to use regularly for off-roading, not just as a historical showpiece. 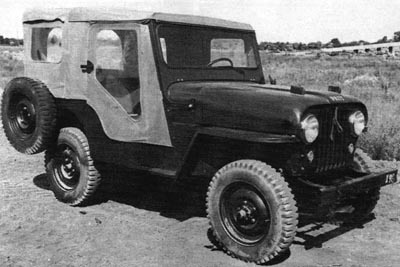 There are a number of mysteries around why Willys gave up on X98 and the CJ-4, and returned in 1952 to what many people would consider a less sophisticated solution to fitting the taller F-head engine into the Universal Jeep, when they decided to put what we know as the CJ-3B into production. 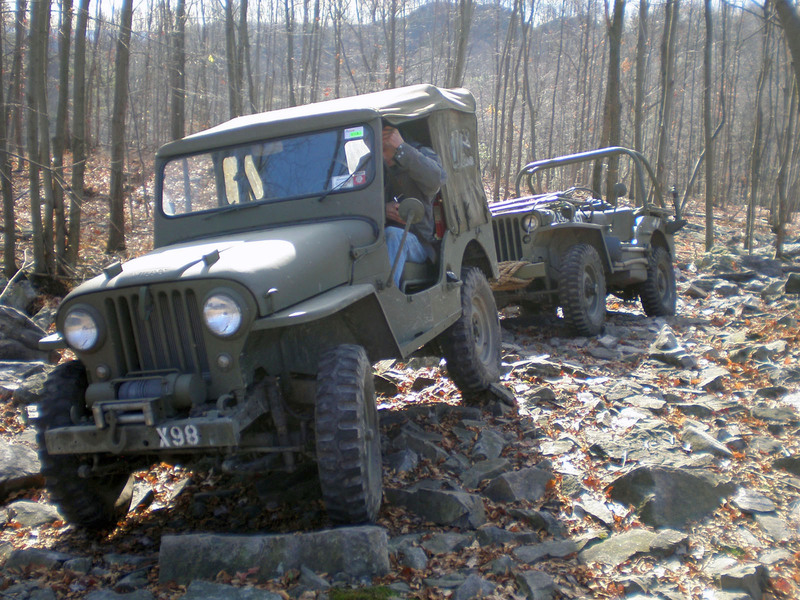 These questions are discussed in New Universal Jeep Designs, 1949-52 on CJ3B.info. 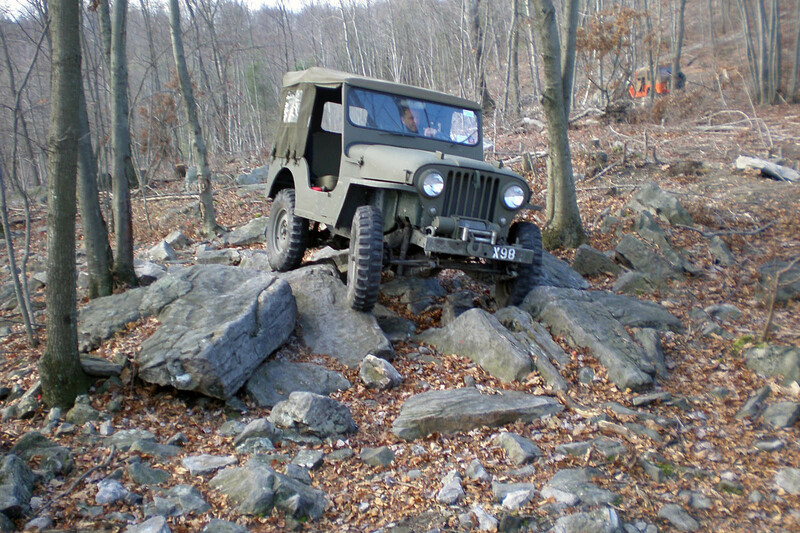 Bob knew that he liked X98 better than a normal CJ-3B, but he faced two challenges: how to create the unique bodywork, and how to build a highly capable off-roader with mechanical and safety upgrades without compromising the look of a historical legend. 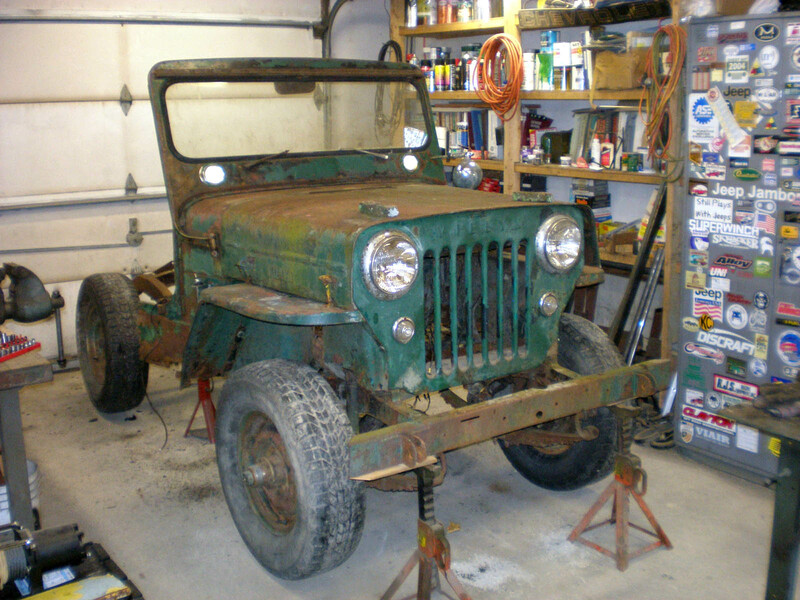 Bob described his early 2014 purchase: "I picked up a very rusty 1953 CJ-3B. 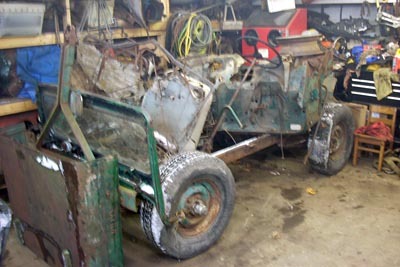 It's really a 'kit' because the previous owner completely disassembled the Jeep and tossed the rear half of the body. Here is what some of it looked like when I picked it up. All the parts completely filled my 8-foot bed pickup and the trailer. 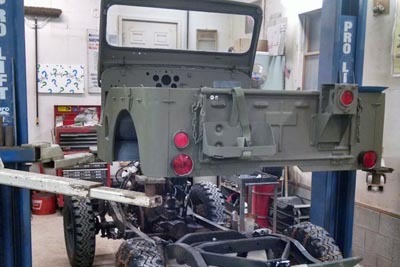 A Jeep kit sure occupies way more space than an assembled Jeep!" To see what he had to work with, Bob put the surviving body parts together on the frame. Photographing the 3B from the same angle as an original X98 photo allowed Bob to use a photo editing program to trace the outline of X98's grille onto the 3B photo. 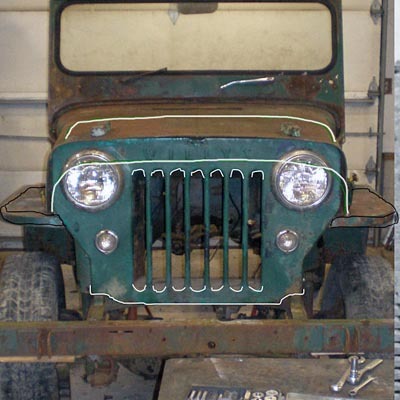 The seven slots were the correct height and placement, but the top edge needed to be cut down like a CJ-5 grille, and the headlights and parking lights moved down. He also had a DJ-5 grille (200K JPEG) and hood on hand to make use of. 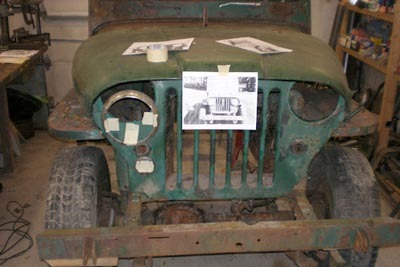 After cutting the top off the 3B grille and setting the DJ-5 hood roughly in place, the 1951 photo helped determine the exact placement of the lights. 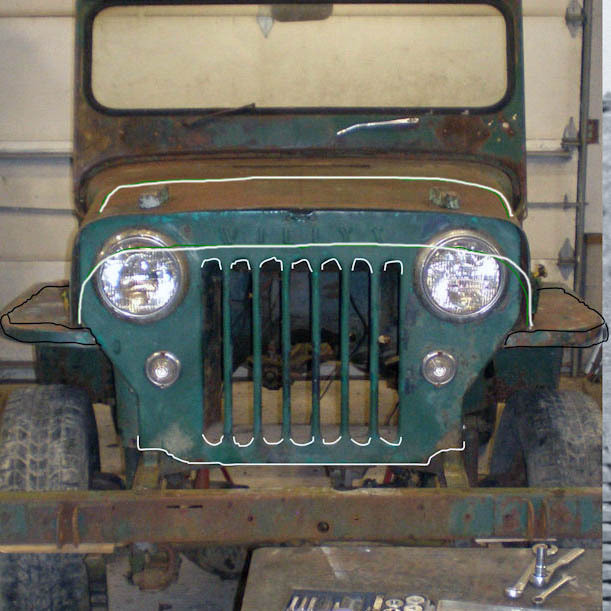 A thin section of the top edge of the DJ-5 grille was then spliced onto the the CJ-3B grille (160K JPEG). 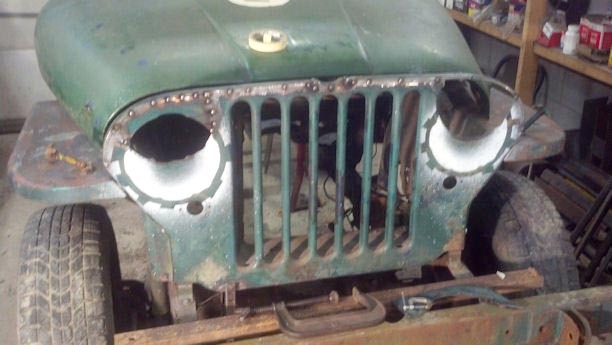 Bob adds, "The center of the top edge from the CJ-3B needed to be added because CJ-5 grilles don't have that little divot. 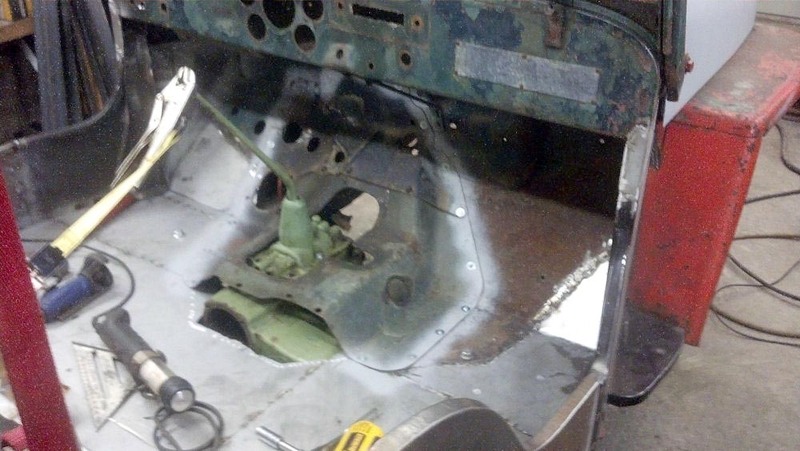 Then fillers were welded into the headlight holes and parking light holes. 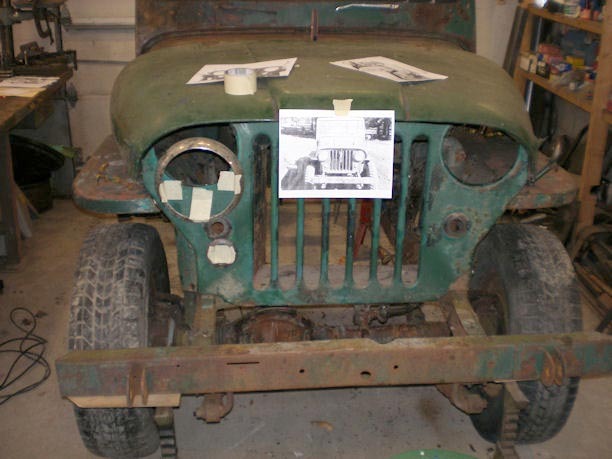 The final grille ended up being seven separate pieces welded together." 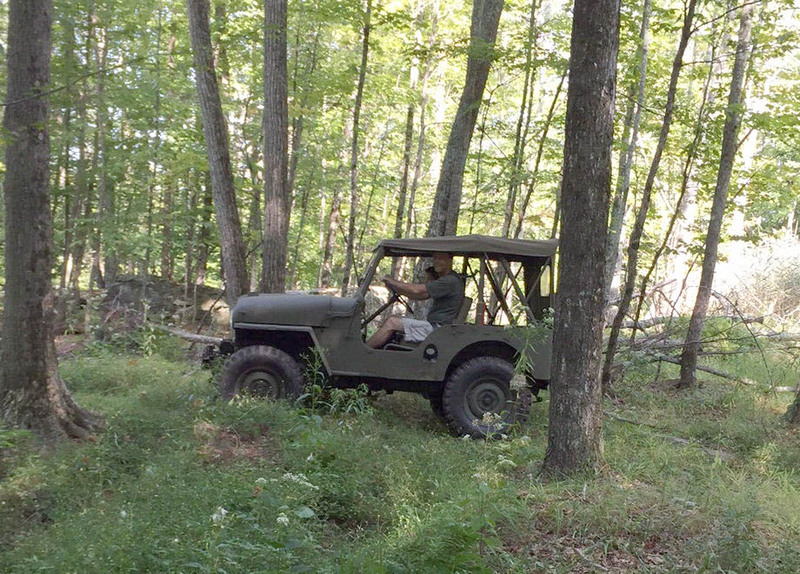 If that wasn't tricky enough, Bob reports that "The hood was way more difficult than the grille. The DJ-5 hood was too wide and too short at the rear, and therefore the sides and most of the top were not even close to correct for X98. I ended up cutting the DJ-5 hood into a T-shape to use the front edge and the center raised portion. Even the center raised section was too wide, but changing that is way beyond my limited skill set, so it stayed as is. 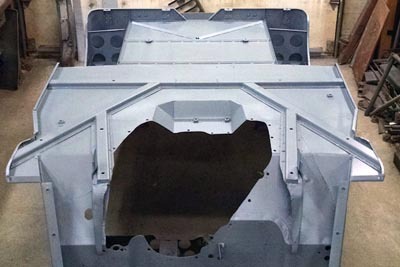 The rounded front area of the DJ-5 hood had to be rounded further to match the lines of the new narrower but taller X98 hood. This required a lot of metal shrinking. 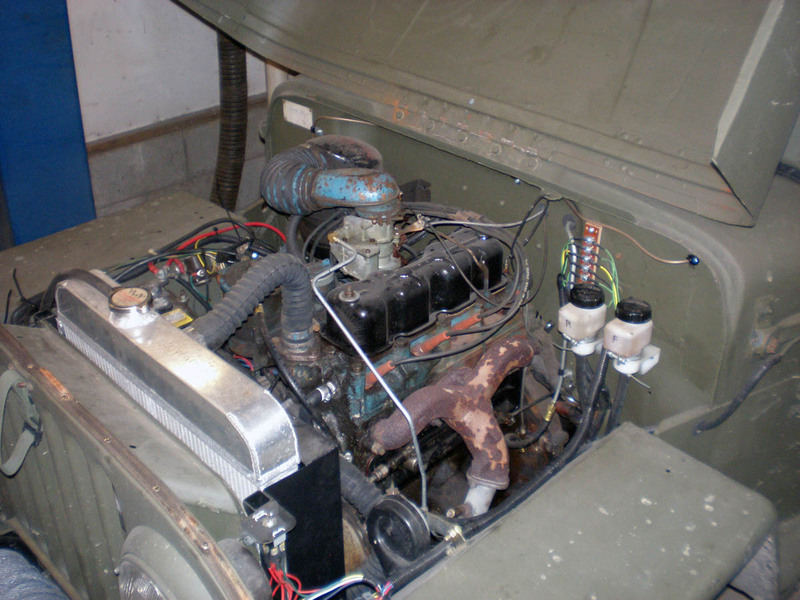 "I removed the rear inner reinforcement and hood hinge from the CJ-3B hood, and welded that to the DJ-5 cut out T-section. 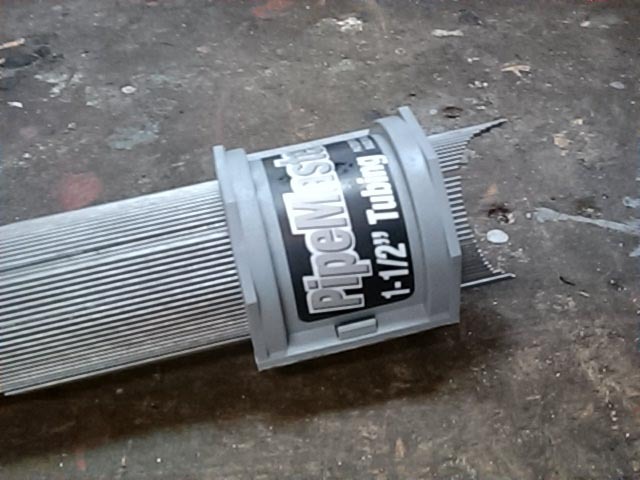 Now it was a matter of cutting and bending some flat sheet to make up the missing section on each side (190K JPEG). 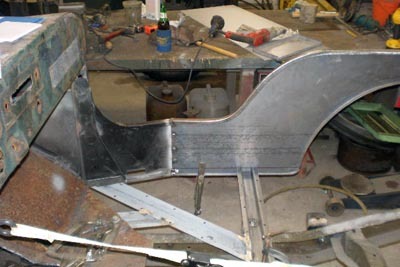 After it was all welded up there was still days of shrinking metal to force everything into place. 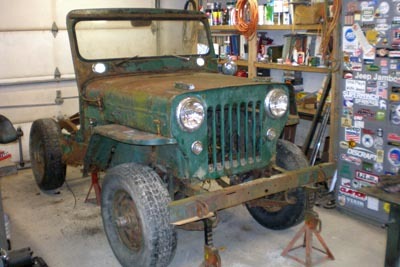 Then the final touch was installing one of the CJ-3B embossed side WILLYS pieces into the front. 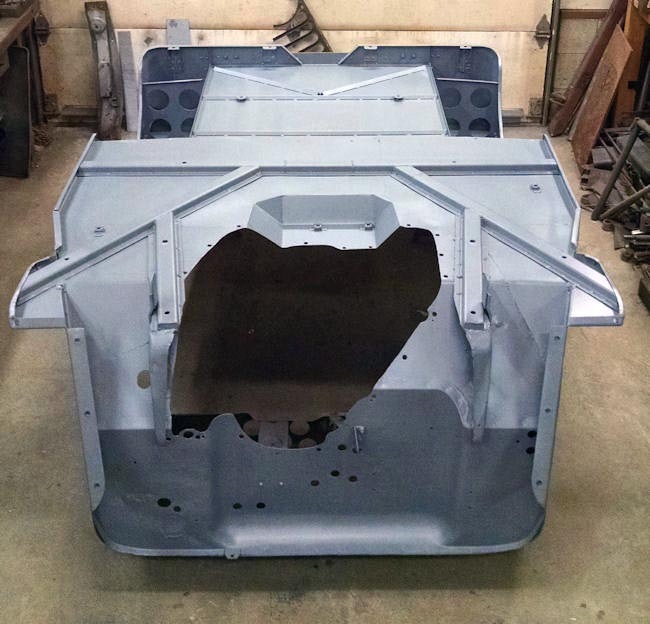 The hood ended up being made up from five separate pieces." Bob had body side pieces which had been modified for an incomplete previous project, but he returned them to stock shape and tied them together with some new hat channel. With some patching, the tailgate was useable, and Bob fabricated the tailgate surround, rear floor and wheelhouses (170K JPEG). 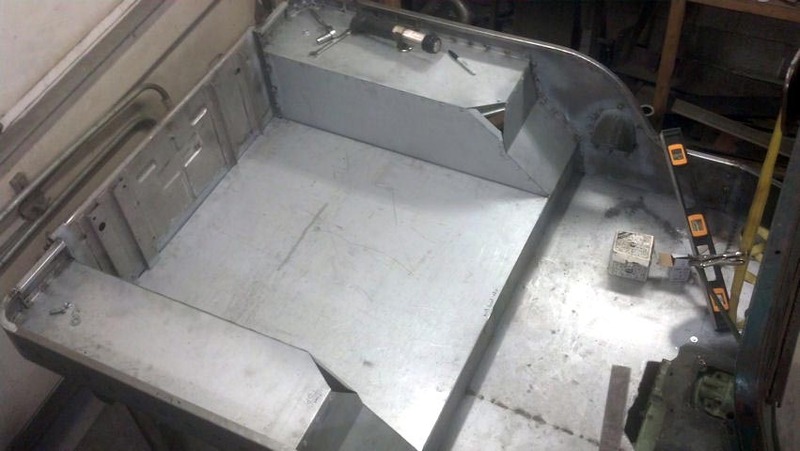 Since he had to build most of the floor from scratch, he decided to use M38 removable floor panels in the center. 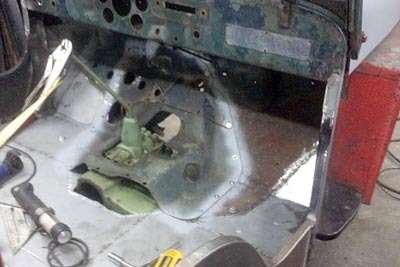 The M38 cover assembly was clamped onto what was left of the CJ-3B floor, and sprayed around it to mark where to cut. Then he temporarily screwed down the M38 panels with an empty transmission in place, and fabricated the remainder of the floor and hump. The tub was painted top and bottom with epoxy primer, and the bottom was also undercoated. Bob comments, "I love primer! The lusterless finish makes my bodywork look great." 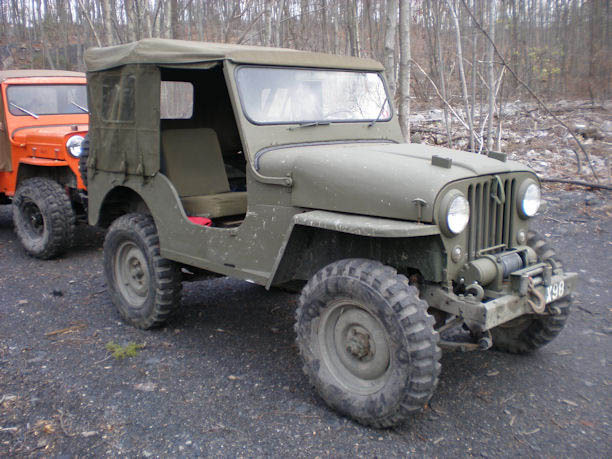 Other M38 details Bob decided to go with included a tailgate with the spare tire mount and jerry can holder, and M38 wheels which have a bead hump, unlike other early Jeep wheels. 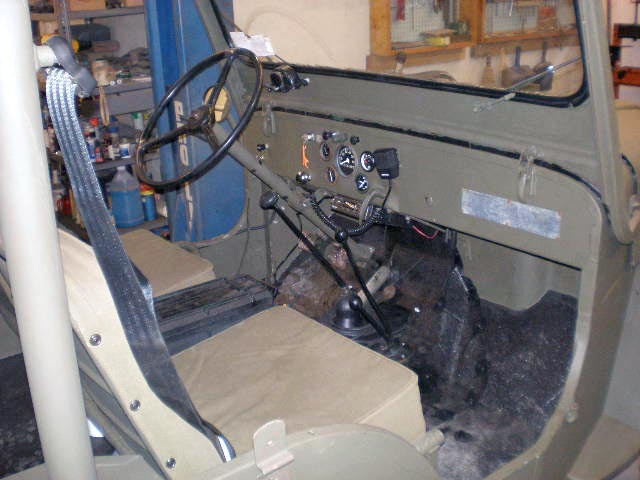 The finished interior (200K JPEG) appears basically stock but with a CB radio and seatbelts added. Bob says, "So far there has been no reason to disassemble the engine (160K JPEG) so it hasn't been cleaned up. I'm happy if it stays that way!" On a test ride in fall 2015, Bob reported, "It performed very well on some tough trails. There are a few more bugs I need to work out and it would really be nice if the crawl ratio was a bit lower. "I'm running 7.50 x 16 tires (Firestone from Summit Racing). To make them fit better in stock wheelwells the body has a 1" lift. I expect a bit of rubbing, but there was some serious contact in the rear when I was in the rough stuff." 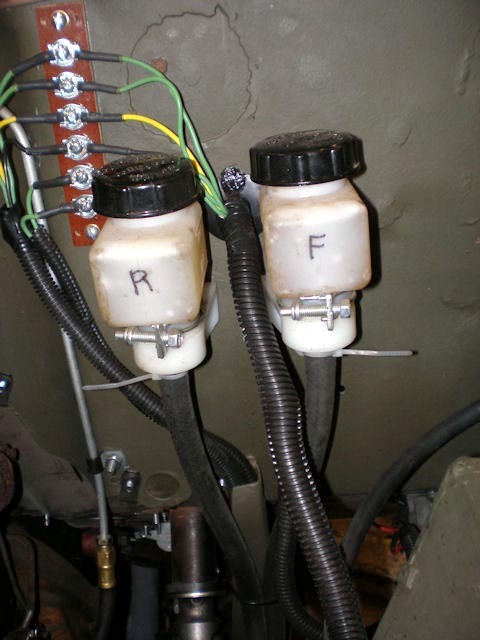 This problem was solved by moving the reinforcing gussets located inside the wheelwells. As well as trimming off the ends of the bumper for clearance, there were a few other modifications to improve off-road capability. 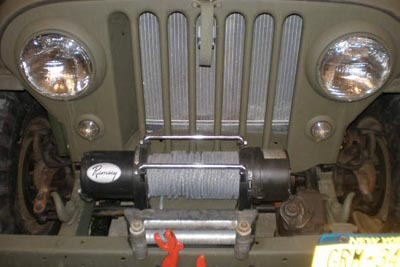 Jeep optional front tow hooks were mounted on the frame rails, and a 12-volt electric Ramsey winch was installed (probably the most visible distraction from the look of the original X98.) 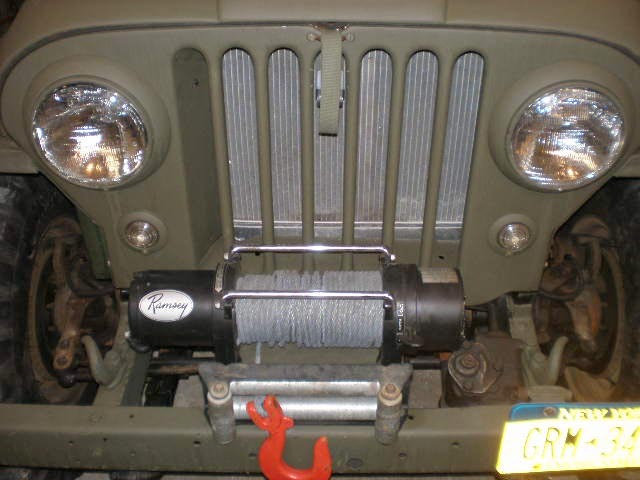 The winch was offset toward the passenger side, to clear a Jeep Saginaw steering box mounted up high for ground clearance, with the shaft going over the front crossmember. 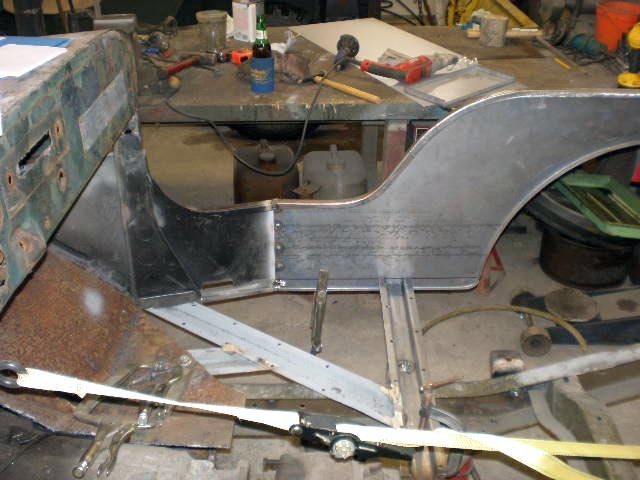 Bob describes the steering box installation: "The frame is boxed from the round crossmember forward and three tubes are welded in placed for the steering box mounting bolts. The top bolt is above the frame. The box is forward as far as possible, and the front bumper is bowed up slightly to fit the box. 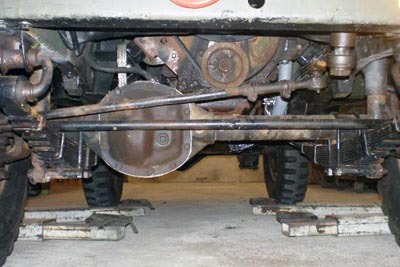 I have a 1-inch body lift so the steering shaft just fits. You can see the 1-inch spacer in this photo. The crossmember was dimpled to give enough space for the U-joint. 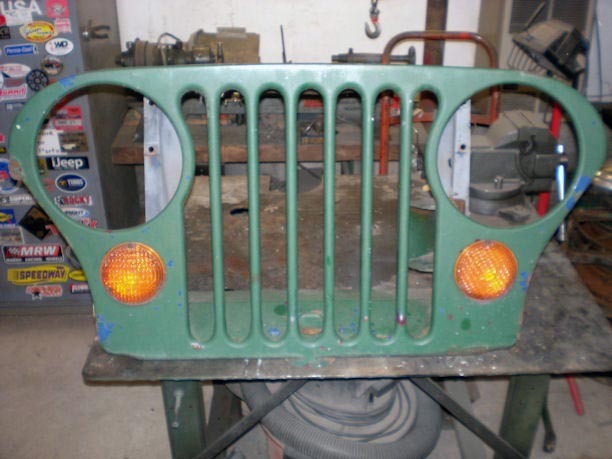 The grille also has a slight bend in the sheet metal so everything fits." 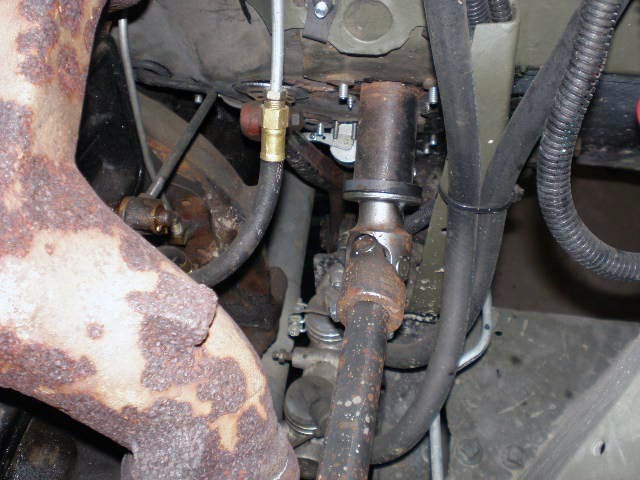 Bob used steering shaft parts from Borgeson to adapt the steering column at the firewall (210K JPEG). 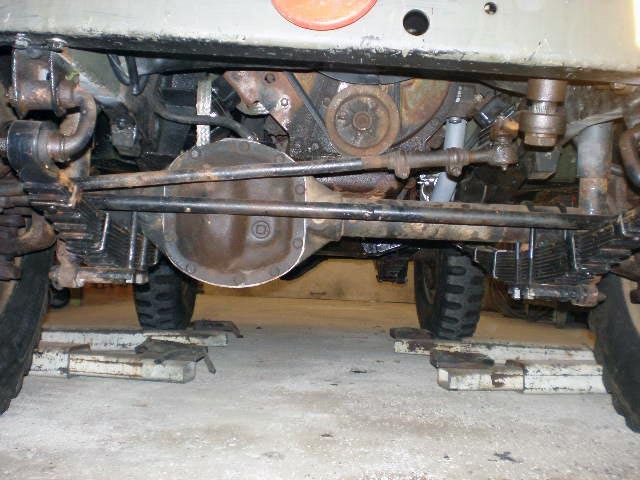 The front axle is a Jeep narrow-track Dana 30 with disc brakes. Bob says the "narrow track" is actually wider than the stock D25, which allows for a smaller turning radius even with larger tires. At the time of this photo, Bob was planning to improve the steering linkage: "The drag link is steeper than I'd like it to be. I'm planning to do a tie rod flip to get it up higher and also move the drag to the top of the steering arm to level it out. 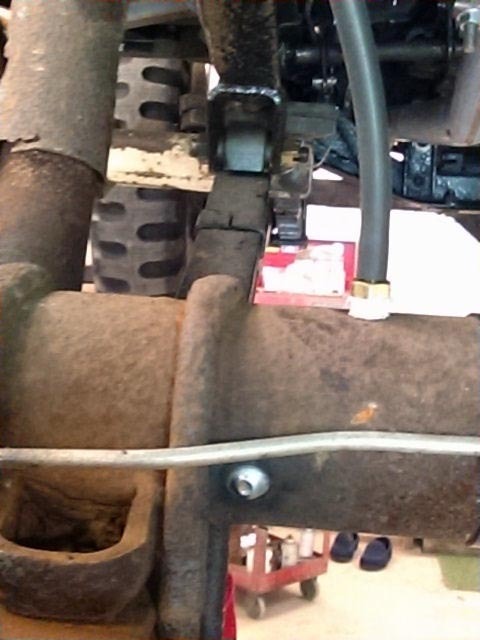 "I'm using stock shocks, mounts and spring plates. The U-bolts just need to be massaged a bit to convince them to fit into the holes, due to the larger tube size of a D30." 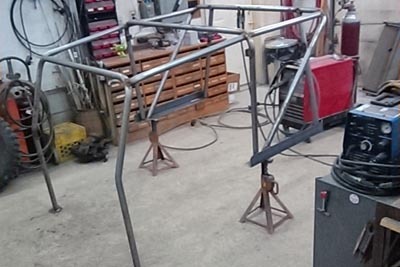 Continuing the quest for more ground clearance, Bob fabricated a new center frame crossmember, and removed two vertical inches from the exhaust header pipe to get the exhaust system up higher. 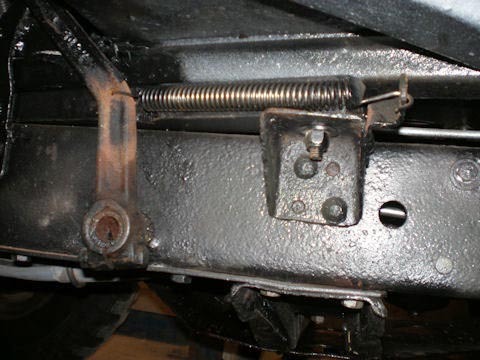 Since the body is raised one inch, the brake and clutch pedals (180K JPEG) have also been moved up, providing a flat bottom to the frame rail. 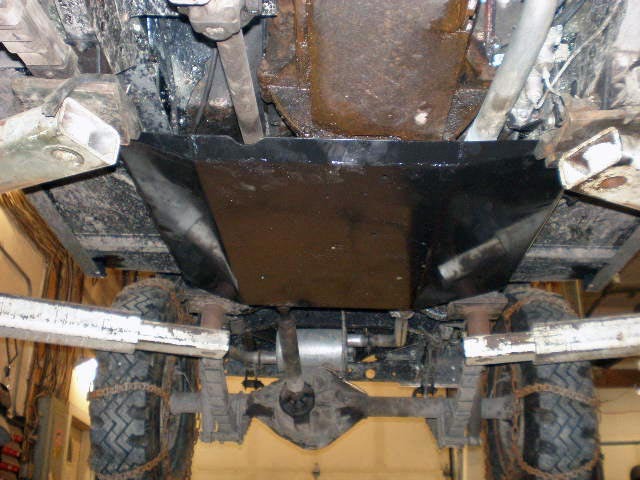 He had a skid plate bent up from 3/16" steel plate to protect the transfer case pan, the lowest point under the Jeep. It extends up both sides of the frame, where it's bolted on. 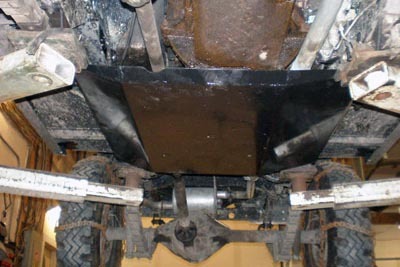 The flat center section of the skid is just below the lowest point of the transfer case. Other upgrades inlcude a 12-volt Delco alternator, plastic fuel tank to avoid rust, an aluminum radiator and custom fan shroud (210K JPEG), and a frame-mounted dual master brake cylinder with remote reservoirs (200K JPEG). 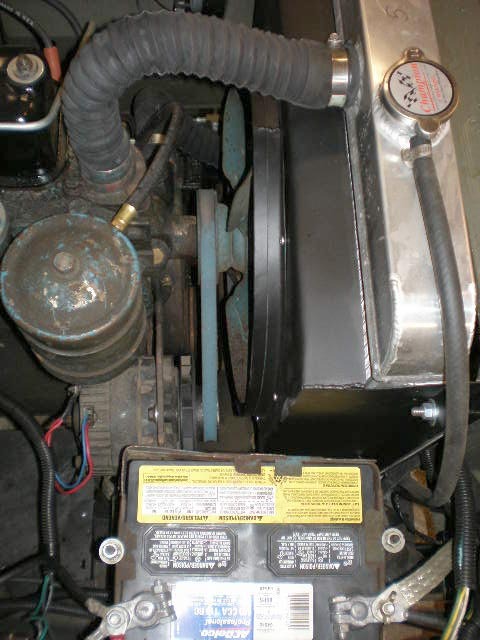 The transmission/transfer case vent is routed up above any potential water, with a hose on the firewall. 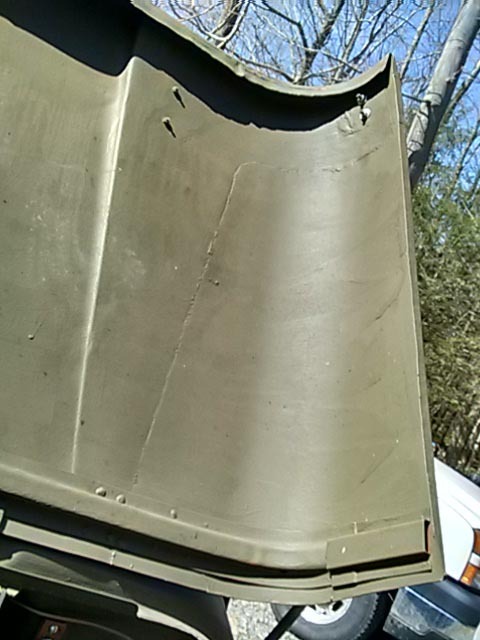 The stock rear axle vent hole has also been welded up and replaced by a new vent (190K JPEG) on the top of the tube with a hose extending up. 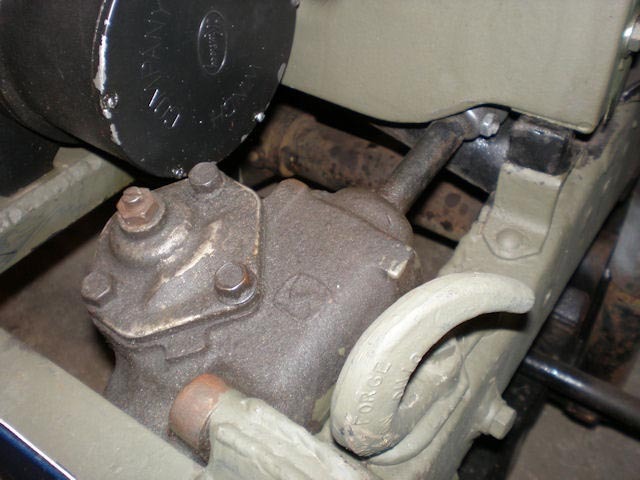 The axle also has a LockRight locker, and after denting the stock rear differential cover, Bob replaced it with a front D44 cover which is much stronger than a rear cover. 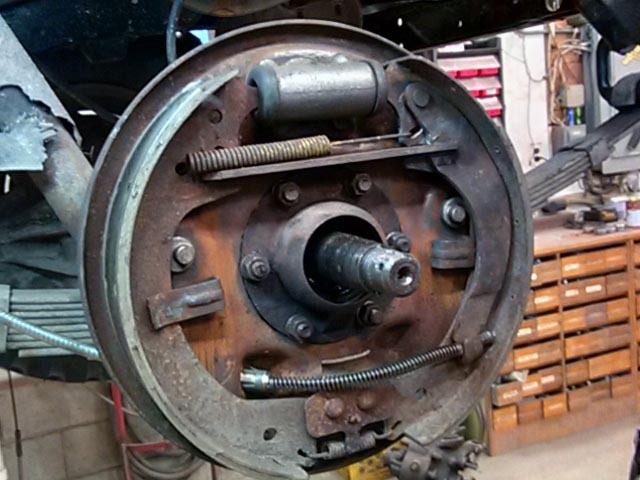 Rear brakes are 11" drums with parking brake, replacing the transfer case parking brake, which again provides a bit more ground clearance. Bob explains how it works: "When the cable is pulled the bottom of the arm moves toward the front (left). 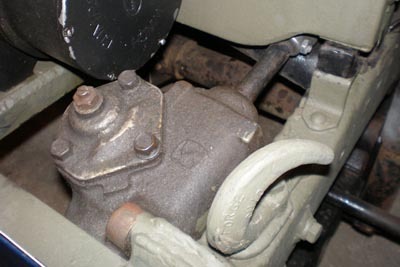 This pushes the upper connecting strut toward the front, applying the front brake shoe. Since the arm pivots at the top in the rear brake shoe this motion also pushes the rear brake shoe toward the rear, applying it. "My linkage is now like a DJ-3A. Thanks to the guys over on the DJ-3A Bulletin Board I was able to fabricate a DJ parking brake lever. This is necessary to give a mechanical advantage to the CJ-3B parking brake cane-style handle." 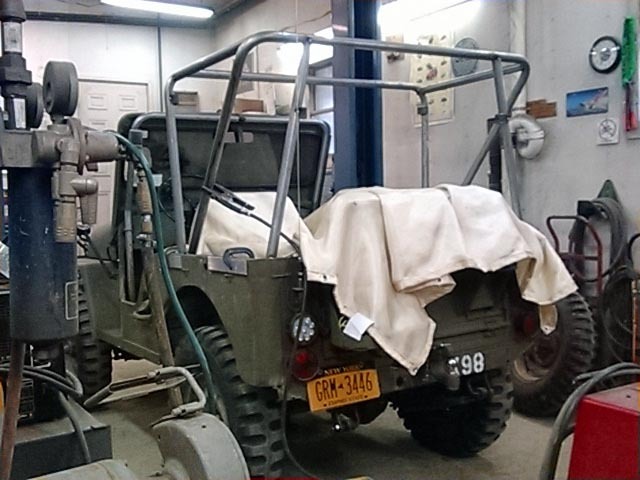 Part of Bob's original plan was to design a roll cage that would look like, and serve as, the top bows for a folding canvas top. 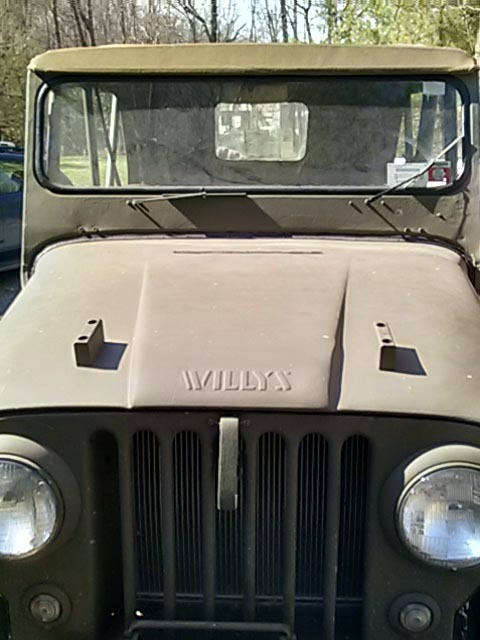 It's a great solution to achieving safety without completely losing the classic Willys profile. Unfortunately he could not find a commercially-produced die that would bend the top pipe corners in a tight enough radius to support an original-style enclosure. 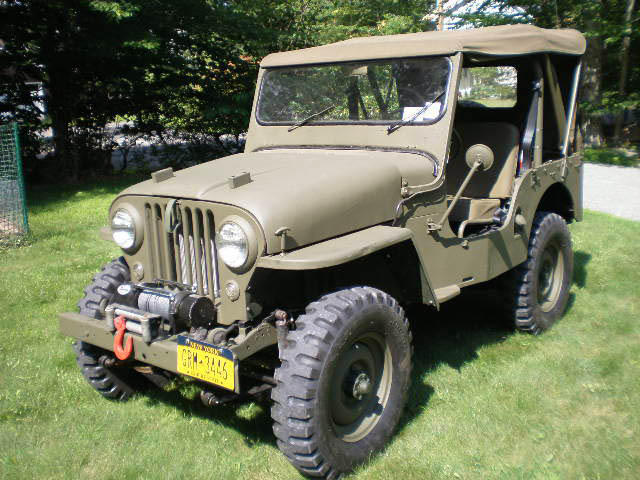 So initially he installed a regular CJ roll bar in X98, and used M38 top bows. Then, reports Bob, "My good friend Jeff Petrowich also decided that a top bow / roll cage was a cool idea. 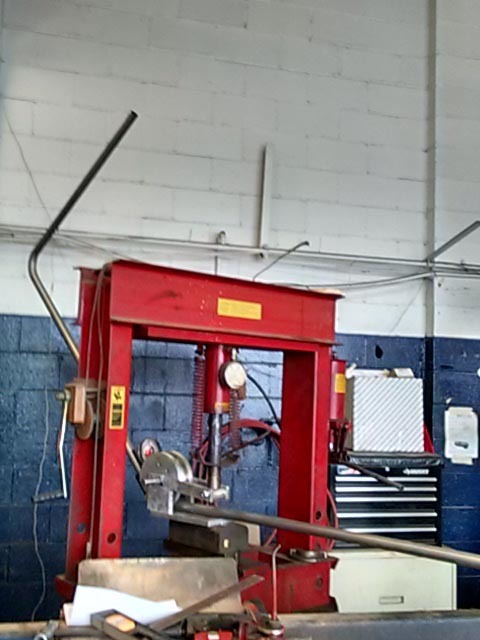 He has the skills to make a tube bender so he made up one to bend a roll cage with a tight enough arc (190K JPEG) to serve as top bows too. I couldn't have done it without him and his custom tube bender!" Here Bob is starting to tack weld the 1-1/2" x 0.120" DOM tubing. He found that in making the tubes that go between the bows, one end just required using a tubing notcher, but the other end required a PipeMaster (200K JPEG) to transfer the shape over to the tube, before hand cutting the complicated curves. The cage is 57" wide at the top, and tapers in to fit inside the tub rails at the base, where it sits on angle iron supports on top of the rear wheelhousings. 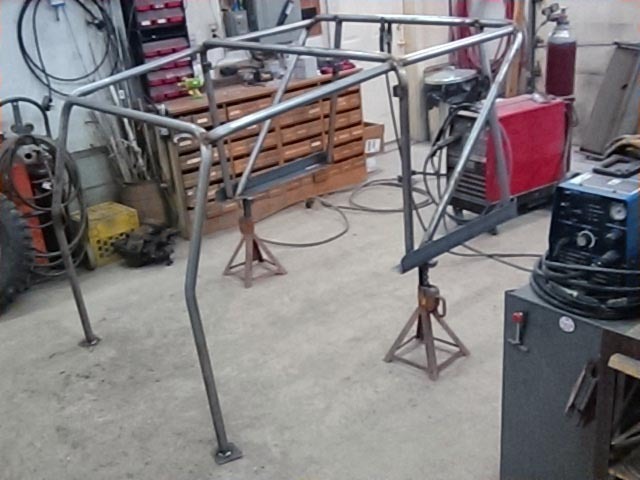 It is primarily a roll cage to protect the occupants, so it will not be removable. 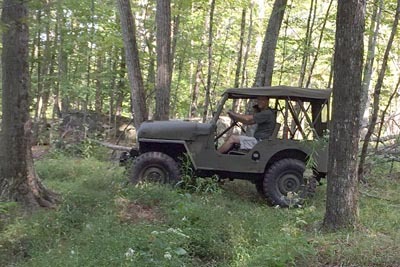 Bob Westerman brought X98 to the Great Willys Picnic, and he has plans to take the unique Jeep further afield in the future. 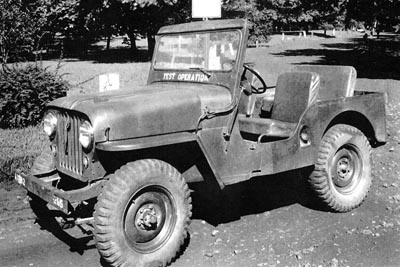 As long as the real CJ-4 remains in hiding, this is probably as close as most of us are going to get to one of those experimental models discussed in New Universal Jeep Designs, 1949-52.